SwingShoes.Net - Have Fun, Start Dancing Day One! DanceGourmet weekends events occur about four times a year and are hosted by Tom Johnson, who is also an incredible chef. Each workshop weekend we bring in a talented dancer to teach some of the secrets of his or her dance. Each instructor has a unique style and personal path to becoming a dancer who can beautifully interpret music. DanceGourmet events feature worshops in Hustle and West Coast Swing on Saturday and sometimes more on Sunday, with a dinner and dance on Saturday night. 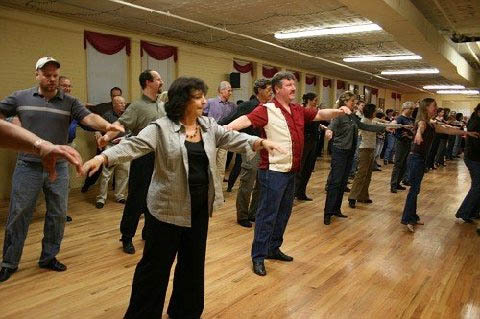 The venue for the DanceGourmet events is within the East Hartford Community Cultural Center - Circle of Life - just a couple of minutes by car from downtown Hartford. The venue has a sizable, smooth wooden dance floor and a sizable seating area for dining or relaxing.